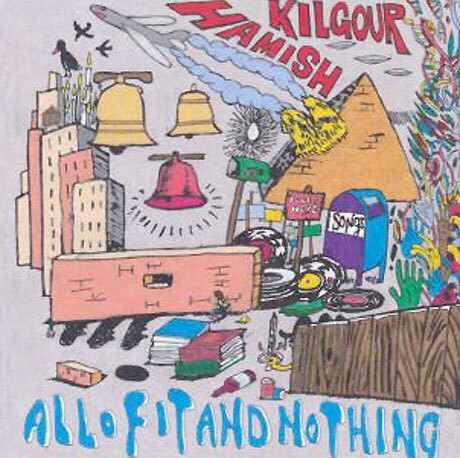 Hamish Kilgour is a founding member of both the Clean and the Mad Scene, but the Kiwi-bred/New York-based musician has surprisingly never previously released a solo album. That will change on September 16 when he issues All of It and Nothing through Ba Da Bing! on September 16. The album was recorded with Gary Olson (Crystal Stils, the Ladybug Transistor, Jens Lekman) at his Marlborough Farms studio. Olson, who has previously worked with the Mad Scene, also chipped in with writing and performing. From the sound of things, this is a quiet, jangle-y affair. According to an announcement, "The album carries a distinct hushed intimacy, full of soft-spoken phrases and light guitar play that belie the power of the music it provides." All of It and Nothing will be available on CD and vinyl. Although no single has been released from All of It and Nothing, the curious can get a taste of Kilgour's recent live set by watching the fan-shot video below. This solo performance was filmed this spring in New York. Kilgour's Clean bandmate David Kilgour will, meanwhile, release his End Times Undone solo album on August 5 via Merge Records.